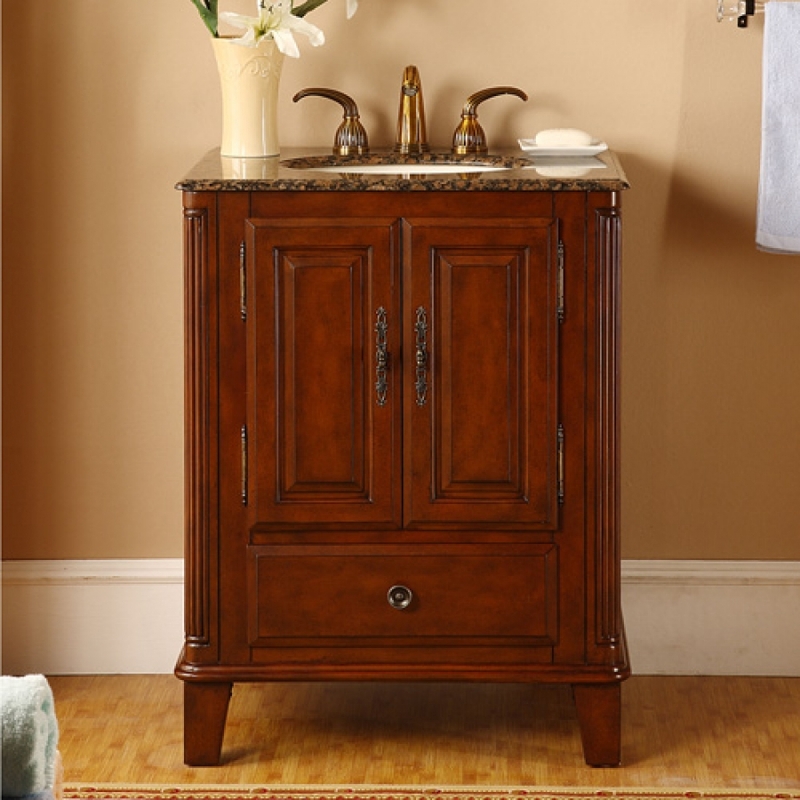 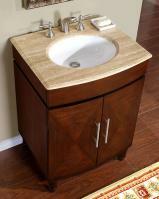 This lovely vanity stands on its own, but it would also play well with others. 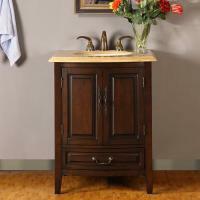 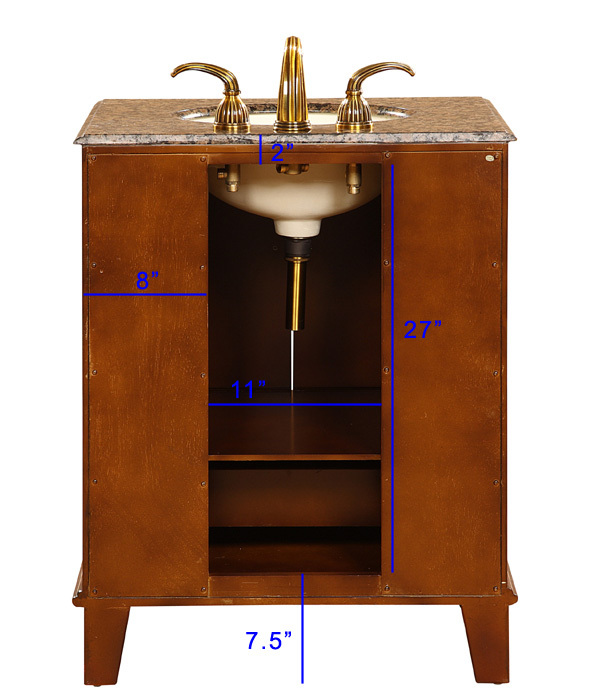 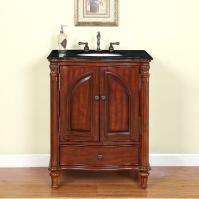 Make a bold statement in your small bath or integrate this into a larger wash room. Cabinet and drawer provide storage space and Baltic brown granite top finishes the piece with lush style.